Snow forts and snowmen are fun outdoor winter activities, but what if you want to enjoy winter fun indoors? Sometimes, the frosty elements make it tough for little bodies to be outside, so why not bring the fun of winter inside instead? This winter, why not go ice fishing right from the comfort of your family room with this Family Fun Ice Fishing Game? This simple Ice Fishing game is enjoyable winter fun for children of all ages, and even adults will have fun and children fish for prizes. There is no drilling in the ice or sitting on a stool all bundled up for hours required either! In fact, you won’t even have to touch a single worm! Here is how to enjoy a dreary winter day by playing the Ice Fishing game with your own children! A dozen or so small treats such as stickers, coupons for t.v. time, gum, baggies of snacks, etc. Once you have your supplies gathered for this fun winter activity, it is time to go fishing! You can preface this activity by explaining what exactly ice fishing is, and how many people do it today as sport, although for pioneers many years ago it was a way of life. Children will be delighted to hear how even though the water freezes; the fish remain active under the frozen layers! First, hang your sheet or cardboard from the ceiling. Tape ought to do the trick. Construct your fishing pole by tying one end of the string to the dowel (or stick of your choice) and tying the other end of the string around the clothes pin. You may want to glue gun them in place so they don’t slide off. 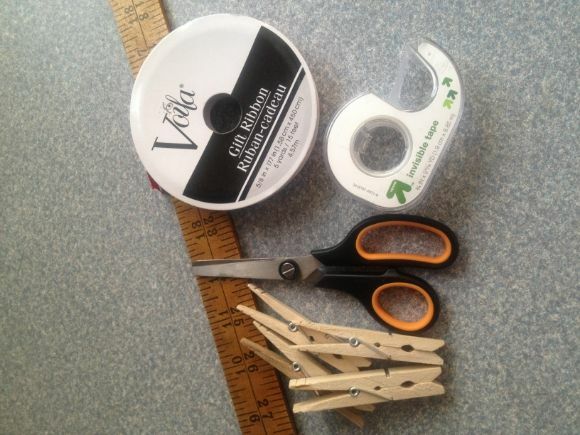 Have a parent stands behind the sheet/cardboard with a basket full of little goodies/gifts to attach to the clothes pins. Next, have the kids cast their fishing lines over the “ice” and wait for a bite! They will know that they’ve caught something when they feel a tug on their line! When they reel in their catch, they will be delighted at the treats they find on the end of the pole! Indoor Ice Fishing is a fun game for kids to enjoy in the warmth of their homes, and it gives them the chance to learn more about the sport of it! Want to extend the activity? This winter fun activity lesson can be extended by exploring what happens when pond or lake water freezes each winter. They will be interested in knowing that an entire world of creatures still lives below the surface enjoying day to day life. Explain to them how frogs burrow into the muddy parts of the lake where it is warmer, and fish stay near the lake floor where the water does not freeze. You can read more about how fish and reptiles live during the winter months in the book, Where Fish Go in Winter by Amy Goldman Koss, available at Amazon.com. So grab your fishing supplies and leave your bulky winter coats in te closet! It’s ice fishing time! What other fun indoor winter fun activities do you like to do with your family? Piined this for when I have grandkids. I used to love this game at the carnival. Oh my goodness-this is adorable–we love to play fishing games in the bath tub -but after a while it gets too cold–this will be just the thing! thanks for sharing! That’s the kind of fishing I like! Slimy fish, no way. Prizes, yes! We actually used to do this at every birthday party in our house! 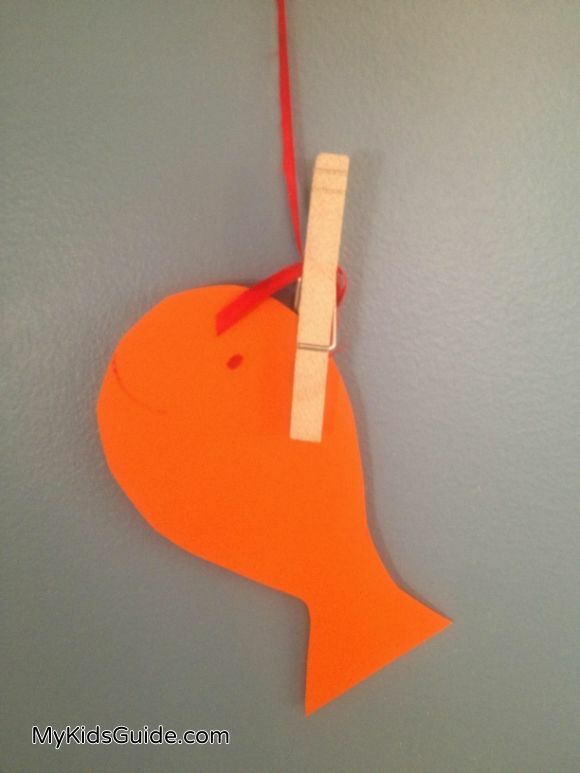 Another fun one is to put a magnet on the rod and then attach paperclips to fish so that kids can try to catch them! simple hearts from red and pink chart paper. Add eyes and scales so that the hearts resemble the shape of a fish. it’s too cold to head outside, grab some construction paper and create this fun indoor ice-fishing game for kids!